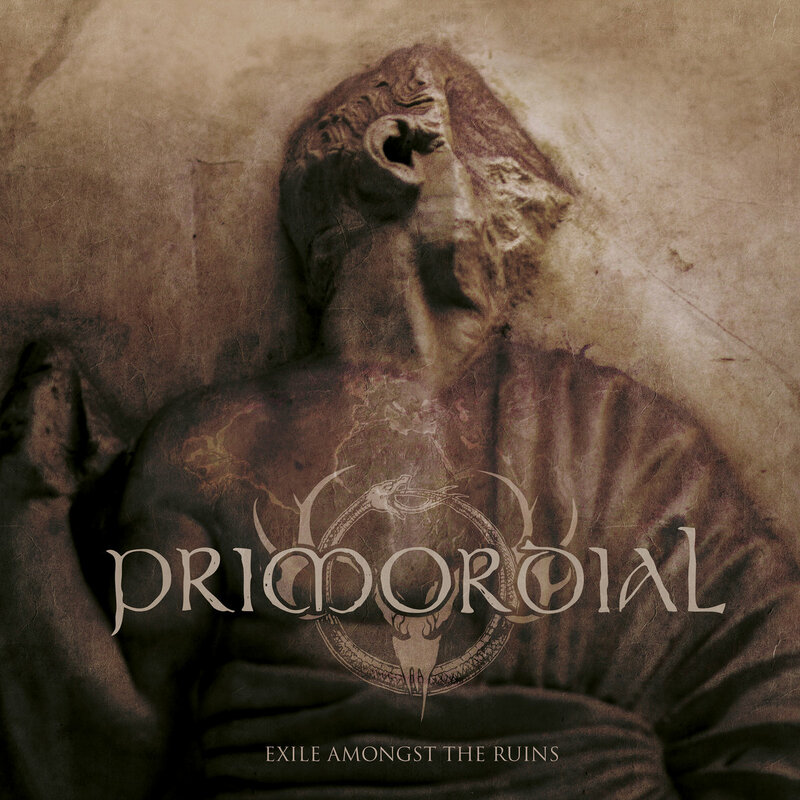 The Irishmen in Primordial have steadily been releasing one great album after another for the last decade or so, and are now on their ninth studio album, “Exile Amongst the Ruins”, which was released a few months ago. As every other album I’ve listened to by this band, it is a challenging listen — but in the most positive sense of the word. The album clocks in a little past the hour mark, which isn’t as uncommon for this band as one might think. Although the eight songs present on the album are thus fairly long, the listening experience is still extremely rewarding given that the song structure is so complex, progressive and almost mesmerizing at times, and with Alan Averill Nemtheanga’s characteristic voice certain to impress once again, one cannot help but have the highest of expectations for this album. I stopped counting the times I’ve listened to the record some time ago, and although I have been pretty sure of what grade to give it, I have been missing the exact words to describe this work — but here goes. Off to a strong start with “Nail Their Tongues”, we’re shown the prowess of Primordial’s lyrical universe. Touching religion, history and the cultural heritage of the band’s native Ireland, you can truly hear the anguish, melancholy and agony in both Nemtheanga’s beautiful voice, but also in the way the songs progress. The build-up is key in every song, and it makes the structure that much more intense and therefore also rewarding, if given time and patience to notice every little detail. On the album highlight, “To Hell or the Hangman”, you get a sense of thick atmosphere, as the song is quite dense in both power and build-up, and you get the feeling that the climax is coming just around the corner. It comes with the chorus, but the drums keep their marching pattern throughout the entire song, preserving that dense atmosphere in a way that must work extremely well live. The tempo is taken down a notch with “Where Lie the Gods”, which is a song about combat and war and has a constant sadness about it. Again, you can hear the anguish in the vocals, as every fiber of Averill’s body seems to have a close connection to this sadness. This relation is quite noteworthy across the entire record and helps elevate it from good to great; the sadness continues on the title track, which is yet another excellent example of how to write an emotional and compelling song. You can hear the pain in the chorus, with Averill singing, ”We are the ghosts among the ruins / without history, without nation / and without names”, which makes you feel a close connection to the age-old struggle of the Irishmen, their strive for independence, and their battle against the superior power of England. You can almost hear the echoes of the native Irishmen tell tales about those struggles around a bonfire the night before some medieval clash between the two. I could probably continue with the high praise and generous words about every song on the album, but I think my point is made: there is no decidedly disappointing track on this album — they all have something different to offer. As the final song, “Last Call”, rounds it off its chorus with a long and emotive outro, I still feel the urge to start the album over all again. The structure of the songs is well-considered and well-written, and one cannot help but doubt that Primordial might ever write a less than excellent album. 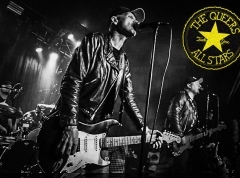 The tales which are told are all very compelling, and the entire history around which the songs revolve is vivid and relatable, which however probably wouldn’t be as convincing if it wasn’t for how much one can feel the band’s emotion in every track. Again, Primordial thus displays why they are so revered within their field. Nothing negative can be said about this masterpiece, and only one’s personal preference and taste can judge which of their now many epic works is or are the best. To me, this is not their greatest work. But when the band has managed to write yet another absolutely astonishing piece of art, one just cannot be disappointed. Neither was I, which is why this album will most likely have a solid spot amongst my best albums of 2018.